For Winfield Elliott, Viscount Stillwell, finding a prospective bride always seemed easy. Perhaps too easy. With three broken engagements to his name, Win is the subject of endless gossip. Yet his current mission is quite noble: to hire a company to repair his family's fire-damaged country house. Nothing disreputable in that--until the firm's representative turns out to be a very desirable widow. The Importance of Being Wicked is the second book in the Millworth Manor series. Victoria Alexander has been one of my favorite author for years, and I have really enjoyed the theme of this latest series of hers. Not my favorite stories from this author, but very enjoyable. The series is based on this family that reside at Millworth Manor. This installment is about Winfield Elliot, the Viscount of Stillwell. The format of this book was in audio form, and I thought since lately I haven’t listened to many historical romances, I thought that this one would be a good one to do. I have been meaning to continue with this series, and so I do love audio books. I did have a hard time sticking to this audio book though, I am not sure if it was the narrator or the way the book was written, but I have a feeling I would have enjoyed it a bit more in paperback. Despite that fact, I really enjoyed the style of this story and it had many qualities to this story that pulled me in and left me fascinated. The Importance Of Being Wicked begins with Millworth Manor, being caught in a fire, and the main living areas being burned although the outer edges remained untouched. So they are in desperate need of a architect hoping to have the work finished before their yearly ball that is a well known event among society. Win has been searching for a good architect to do the work, and seeks the help of Miranda Garrett who has been running the business since her late husband passed away. But what is not known is that she is the main architect and has been since the company first began. But because she is a woman, that fact can’t be made known to the public or the very attractive Winfield. 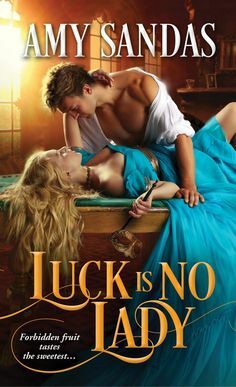 As Win and Miranda are thrown together in trying to complete the manor before the ball, and attraction forms between the two, sparks fly, and desire flames hotter than any house fire. I really loved the idea of the heroine being a talented architect, and how she somehow keeps it a secret, while keeping a priority on those that work for her. Not even her own family knows, and I enjoyed seeing the secret slowly come out, and I enjoyed the reactions of the fellow characters involved in the story. He could see her expression hardening as she said it, but he persevered, for it had to be said. This story was a sensational read, and I loved the romance that develops between Win and Miranda. It was a bit different, since they couldn’t stop arguing or doubting the others intentions, but eventually they started to really come together, and I enjoyed the bickering banter between them. Very amusing to the reader, and keeps you interested in the story. There isn’t a huge major conflict other than both keeping a few secrets, but other than that, its a fun and simple love story you can relax into. There isn’t much suspense or intensity, but a calming effect of a beautifully written romance that leaves a feeling of contentment once you reach the ending. A STUNNING TALE! !